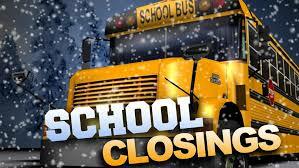 Many of you have already received notice about school closures tomorrow, due to inclement weather. To find out more and to stay updated throughout the week, click the below link. Click the below link for the most current updates on traffic, that may affect this week’s commute.